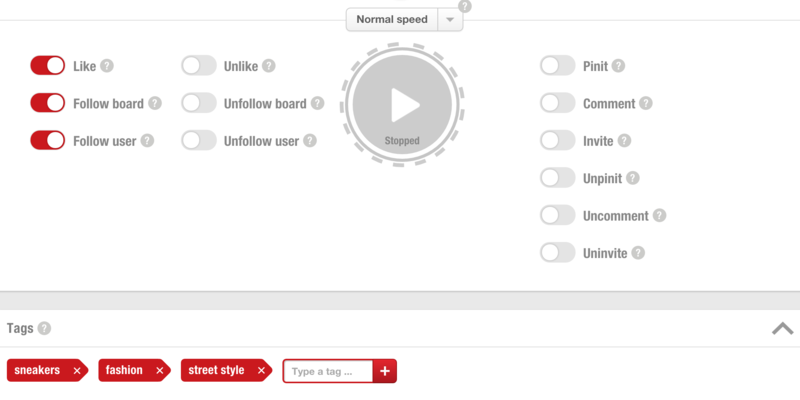 If you’re trying to grow your Pinterest following, the Autofollow feature on Autopin is your new best friend. That is, if your best friend did all your work for you. 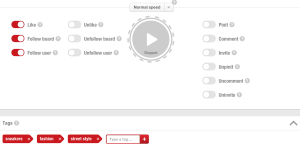 Finding like-minded users and following their boards can take a lot of time out of your day, but with Autopin you can go on cruise control – just plug in a few guiding keywords and press go. Based on the themes you’ve chosen, Autopin will find you good people to follow and make it happen. When those users get notified of their new follower, they’ll be presented with the option to follow you back. As long as you’re posting solid content, most people will be happy to do so! The best part is that Autopin’s autofollow tool will engage at a natural pace, so there’s no chance of you getting banned for suspicious activity. Select the slow speed if you’re just starting out, and you can ramp up the pace as you post more content and gain more followers. On Pinterest, a big following can grow exponentially – the more followers you have, the more people will find your profile and join the crowd. Just make sure to keep those fans happy with some great boards!